Ukrainian government is ready to provide its files to U.S. authorities investigating President Donald Trump's recently indicted former campaign manager, Ukraine's prime minister Volodymyr Groysman said. This was reported by CBC agency of Canada. Groysman sought to distance his administration from the stream of corruption allegations involving Paul Manafort and his associate, Rick Gates. 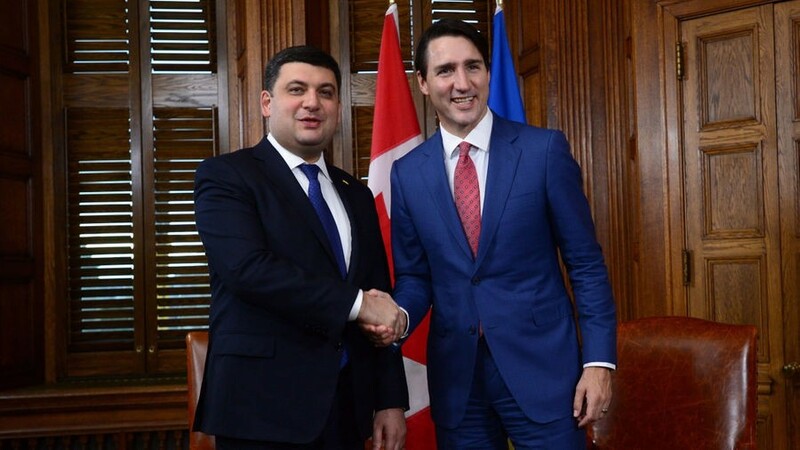 He was in Ottawa on Tuesday meeting with Canadian Prime Minister Justin Trudeau. Manafort and Gates were charged Monday with the laundering of $21 million US through a tangled web of offshore companies and American real estate deals. Groysman said his government has not been contacted by special counsel Robert Mueller's office or U.S. law enforcement. "We haven't received any requests for information in this regard, but if we receive a request we will, of course, provide the information we have," Groysman said. He said he has no inside knowledge of the case beyond what he has read in the media, and said the allegations relate to Manafort's time as an adviser to the country's former, pro-Kremlin president. "The incident that you mentioned was related to the Yanukovych regime," said Groysman, referring to former president Viktor Yanukovych, who fled the country after he was ousted in early 2014. "My government and our term in office have absolutely no relations to this scandal." As it was reported earlier, the FBI is investigating whether Manafort and the consulting firms he led earned between $80 million and $100 million over a decade from pro-Moscow Ukrainian and Russian clients. There has also been information that he received around $60 million from Russian oligarch Oleg Deripaska, laundering the money through his companies in Cyprus. Paul Manafort has surrendered to the U.S. federal authorities himself. Manafort, the ex-leader of Donald Trump’s presidential campaign and his former adviser in foreign policy was put under home arrest – just like his business associate Rick Gates – as the investigation in his case is underway. Manafort, whose name appeared in the black accounts of Ukraine’s former Party of Regions, is accused of laundering money and even tougher crimes – ending up in secret political and financial ties with Russia. He surrendered to the FBI and later, when in federal court of Washington, he pleaded not guilty.